Are you looking for a quick and healthy snack for the New Year? This could be it! I discovered these little gems not too long ago and now they’re a family favorite. They’re super easy to make. 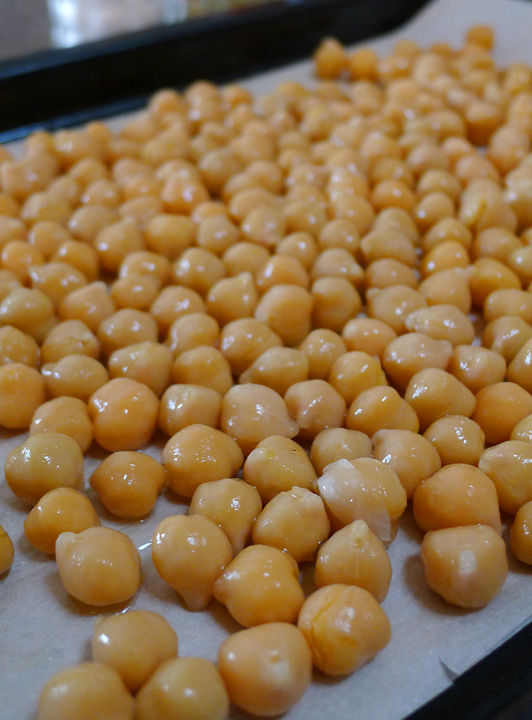 All you need is 1 can of Chickpeas (or Garbanzo Beans, whatever your grocery store calls them!) 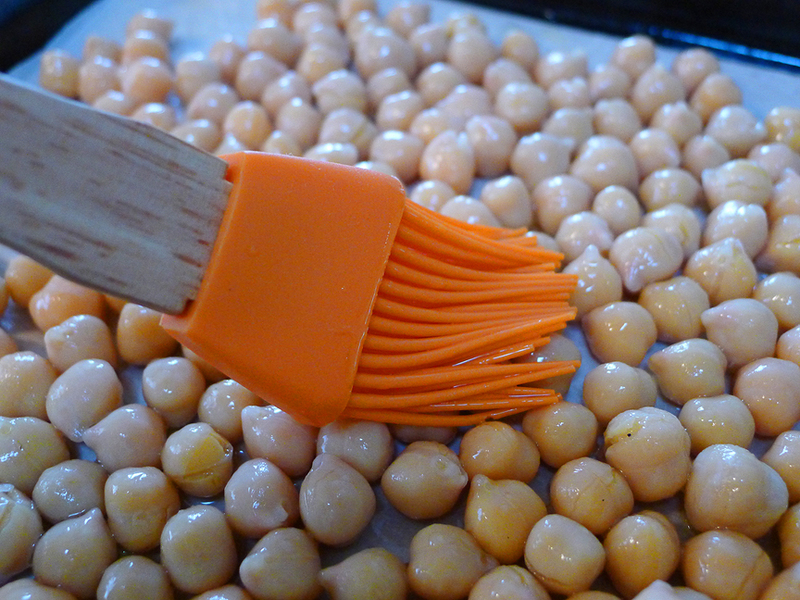 Drain the chick peas, baste them with some olive oil and sprinkle with salt. 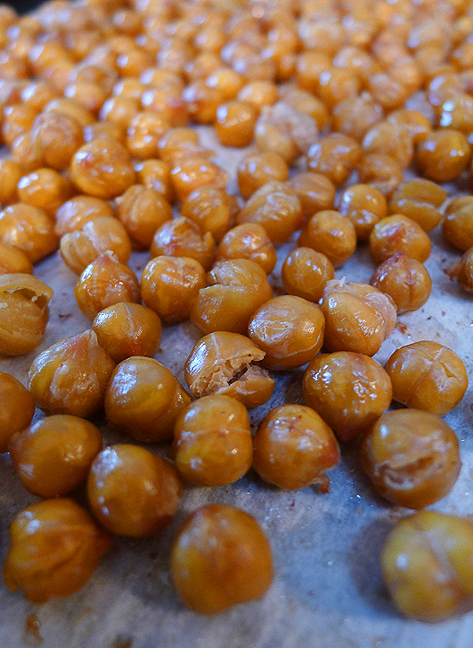 Heat the oven to around 350 degrees (F) and bake the chickpeas for 20-25 minutes. Bake them until they’re golden brown, or until they are a little bit crispy. Test them to see if they are a consistency that you like. My husband likes them very well done, whereas I like them a little softer. So we try to go with a happy medium. If they aren’t gobbled up in one sitting, you can store them in an air-tight container after they have cooled completely. They will usually last for several days and keep their texture pretty well. 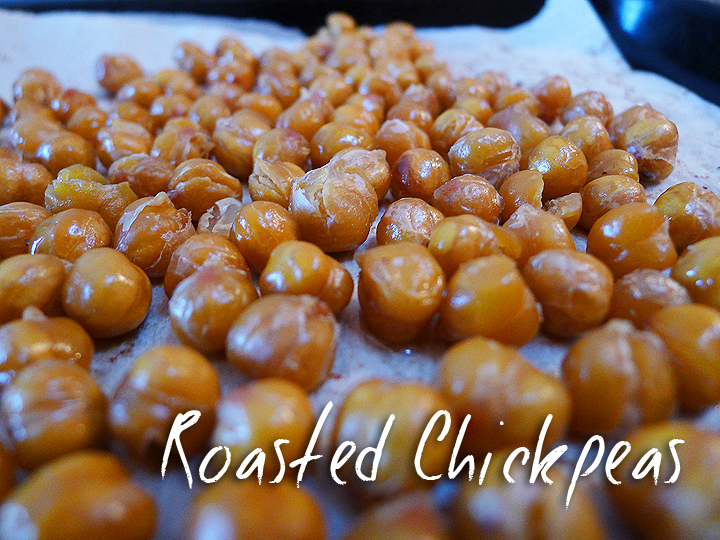 This entry was posted in recipe and tagged chickpeas, garbanzo beans, healthy, roasted, snack.